I think it's true that the energy we put out into the world comes back to us. Sometimes that's in the form of life events. Sometimes that's in the form of relationships. If you're really lucky, it's both. When I first met Elizabeth and Dan, I could sense how chill and laid back they were, which totally spoke to me. 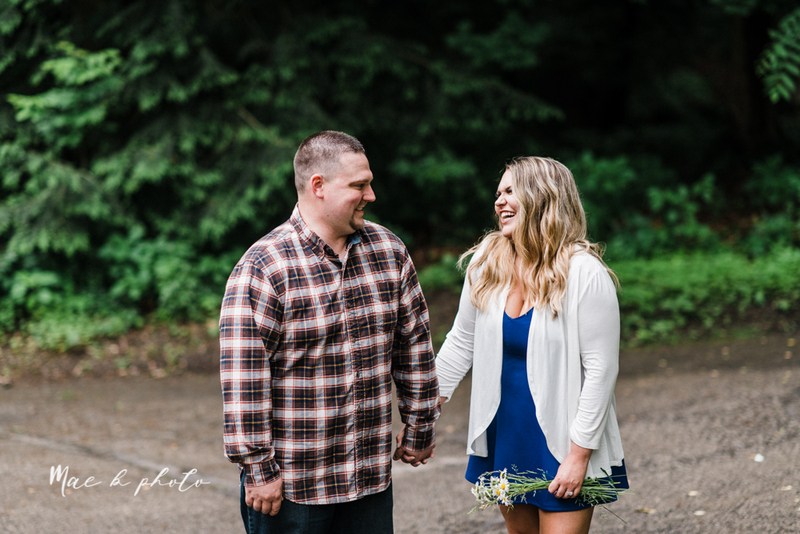 Once we started shooting their engagement session the other night, I watched another layer peel back and saw just how much joy and laughter they share, together. 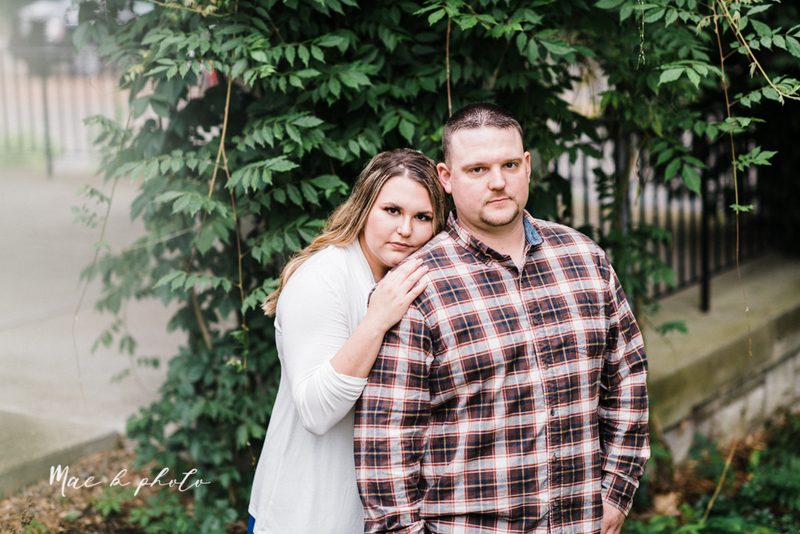 I aim to bring that to all of my sessions, but these two brought it in spades so I just sat back and enjoyed the love and happiness that was unfolding! It's been super rainy this week, so we knew there was a chance we were going to get rained out. That didn't stop us though! I packed my cute bubble umbrella just in case and it came in handy. The rain held off just long enough to get through the first location, but mother nature was like nahh, make other plans because I've waited long enough. So we cruised downtown with the hope that at least one bar or restaurant was open on a Sunday night. We totally lucked out because the Whistle and Keg was. 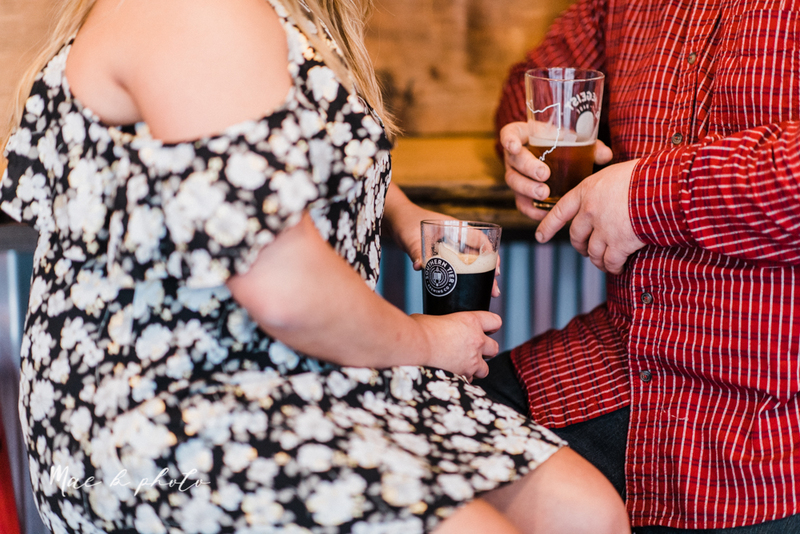 Who doesn't love a good beer while getting pictures taken?! It ended up being a great, super vibey, cool spot! 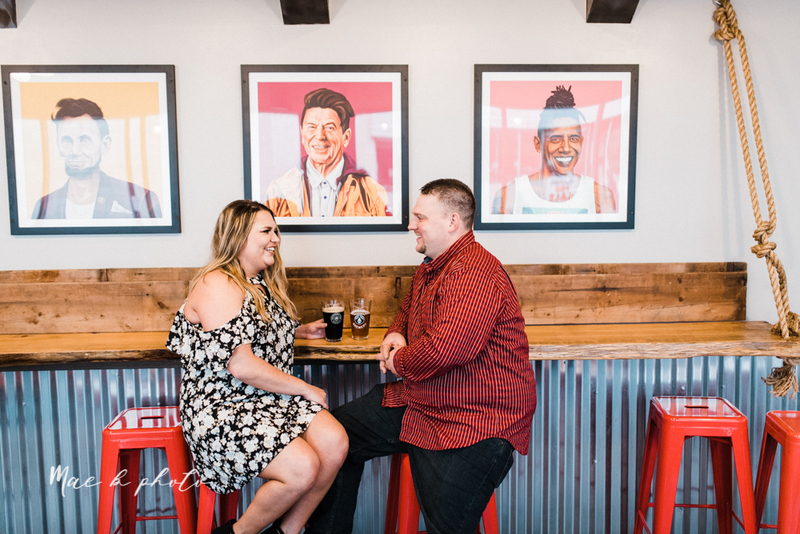 Both Elizabeth and Dan said that it was a place they'd totally hang out on the regular, so it was a good representation of their relationship and who they are - which I love that we got to make their session a little more personal. Talk about a happy accident! I thought Elizabeth and Dan were cool from the get-go, but when they told me that their first date involved looking at a motorcycle that Dan wanted to buy followed by dinner and that they share a love for Motley Crue, I just thought man, they're so cool. Even more than that, they're just good, thoughtful, caring people. When it came to the proposal, Dan planned it out very carefully. Being the gentleman that he is, the plan started with getting the seal of approval from Elizabeth's parents, then ring shopping, then proposal planning. They were going out for a big dinner in January to celebrate some birthdays with her parents and some friends, but made a huge deal about forgetting Elizabeth's birthday card. Little did Elizabeth know, Dan had gotten her parents in on the proposal. While they were at dinner, her mom gave Dan the "lost" birthday card as a distraction while her dad gave Dan the ring. When Elizabeth was finishing up reading the card, Dan got down on one knee and proposed. I could be wrong, but that is probably the best birthday present ever! 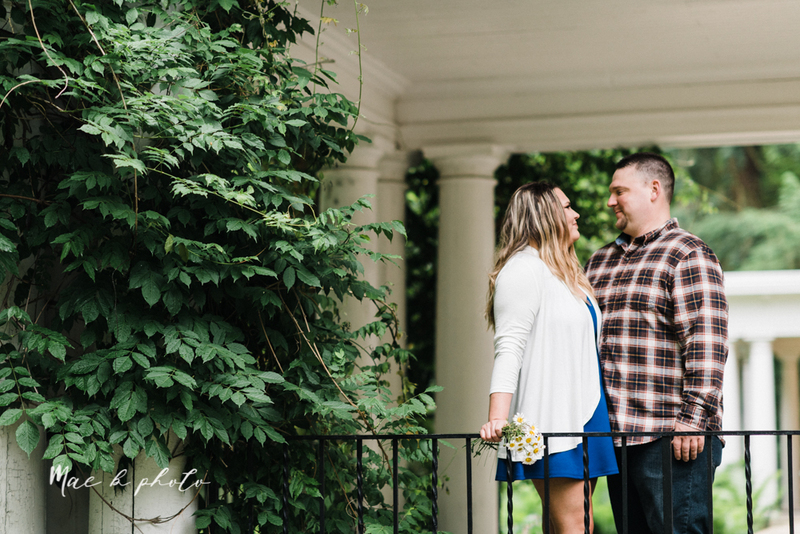 Now here they are, one month away from their rustic barn wedding at The Barn and Gazebo in Salem, Ohio! There will be burlap and lace decor with baby's breath in mason jars - simple, rustic elegance to accent the gorgeous three-story barn. Seeing how excited these two were during their engagement session makes me soooo pumped for their wedding! It's going to be a blast! But first, enjoy these e-sesh photos :] Shout out to the amazing Amanda at Roots Salon and Wellness Spa for the beautiful hair and makeup!